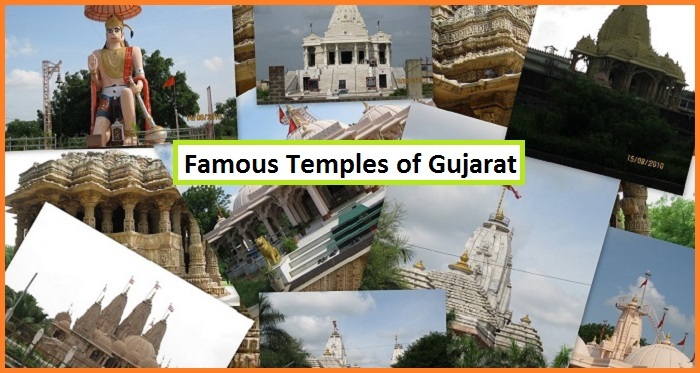 Surat, in South Gujarat, is an ancient port city that was ruled at various times by the Marathas, the Mughals, the Portuguese, Dutch, French and the British. Their influences can be seen all around the city. Even the Parsis, who arrived here in the 12th century, made it their homes. 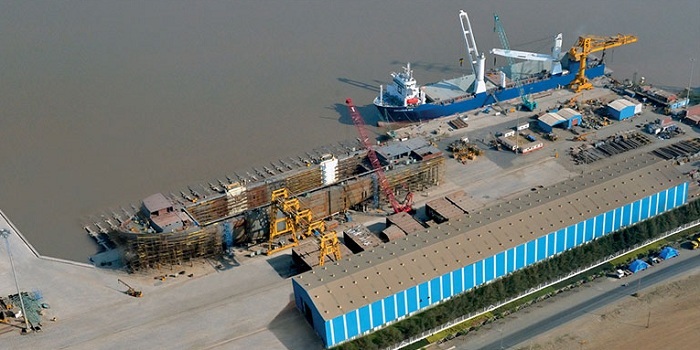 Surat continues its tradition of being a center of commerce and trade with diamonds and textiles being the two most flourishing businesses in the city. 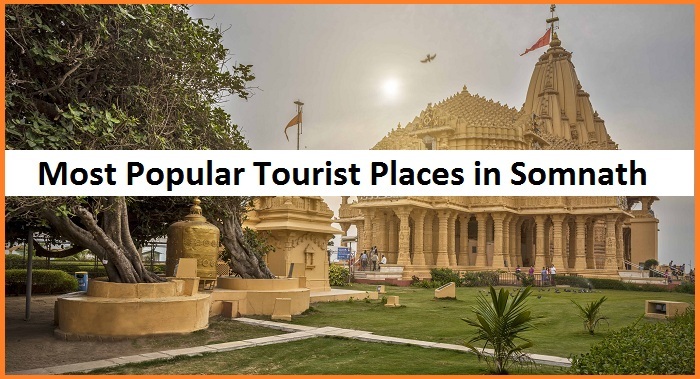 In addition, there are quite a few places to visit in Surat that will keep visitors busy for several days. Drive 21 km southwest and you arrive at dumas, a popular beach and recreational spot for the locals. The atmosphere is calm and serene most of the days with weekends seeing a lot of crowds. Dumas can also have the dubious distinction of being a haunted place but that does not deter people from visiting it during the day. Another unique thing is that the sand here is black. 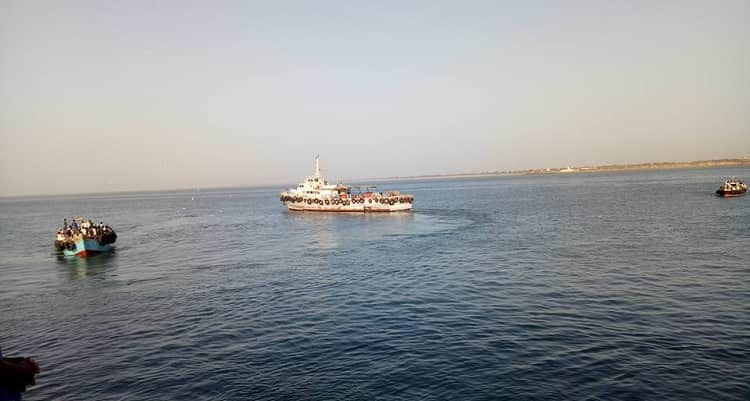 Whether you choose to go there early in the morning to enjoy peace and quiet or for fun and frolic in the evening, Dumas Beach is a must visit place when you are in Surat. The beach is located at the mouth of the Mandola and Tapti Rivers There is a temple here dedicated to Dariya Ganesh. Hazira is an old port and it also has a nice beach with shallow water, making it perfect for water games. Hazira is 30 km from Surat and can be reached in less than an hour. Away from the hustle and bustle of the busy city you will find tranquility reigns supreme here. Just laze about or, if you like, take a dip in the two hot springs that are rich in sulphur. Hazira has become a health resort due to these hot water springs. The Museum was established in 1890 and it is also known as the Sardar Sangralaya. At the time of its establishment it was known as Winchester Museum and was renamed Sardar Patel Museum after Independence. There is a planetarium here too. The museum showcases ancient relics that give an insight into the past history of the city. If you visit Surat along with children then a visit to the Science Centre will be of interest to them. The Centre was specifically created to promote interest in science in the minds of youth. Children will find the museum, the planetarium and the art gallery of interest and may spend quite some time exploring all that is on view. Daman is not far away from Surat and Tithal beach at Daman is one of the most popular destinations. Gujarat is dry whereas Daman is not and you can find hordes of Gujaratis enjoying beer and liquor on the beach. There are crowds during the weekends mostly from surrounding areas, especially Surat. Like Dumas, the beach here has black sand but what will interest people even more is that there are plenty of opportunities for recreation. One can enjoy water rides or indulge in water sports. There are camel and horse rides available on the beach. The shoreline is also dotted with a number of temples belonging to various sects. 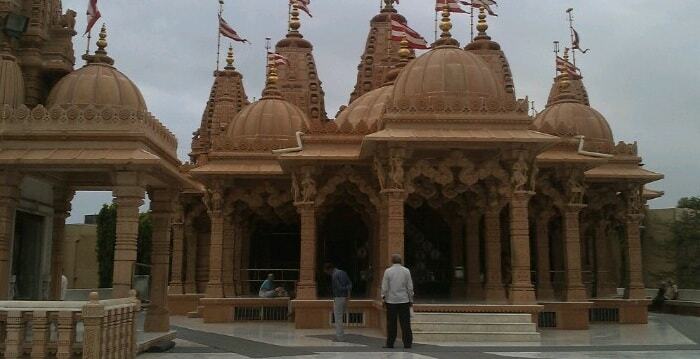 BAPS Swaminarayan sect has a temple here. There is also a Sai Baba temple that is almost always visited by devotees. There is a Vishnu temple too, for Vaishnavites. For children and adults alike, Tithal means fun time with boating, volleyball games, Ferris wheel, balloon shooting and other activities. As the Sun sets into the Arabian Sea you can chill with a bottle of beer and watch the sunset. People have been known to come from as far away as Baroda and Surat just to enjoy liquor and the beach. 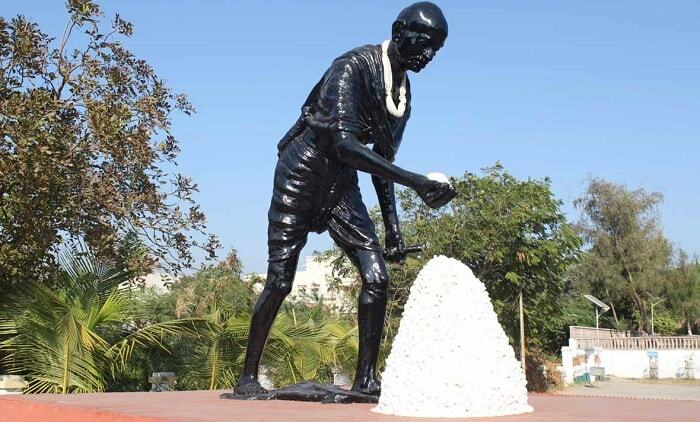 Dandi is associated with Mahatma Gandhi. He began his march in 1930 from Ahmedabad and ended it at Dandi. Gandhiji called on the thousands of people to work for self-rule and this led to nation-wide civil disobedience movement that laid the foundation for the independence movement. Dandi today is a beautiful beach with a scenic view that you can enjoy or you can just plunge into the waves and cavort in the waters. Dandi is perfect for a day’s peace and quiet by the Arabian Sea. The Ambika Niketan temple was built in 1969 and it was dedicated to Ambika Devi. 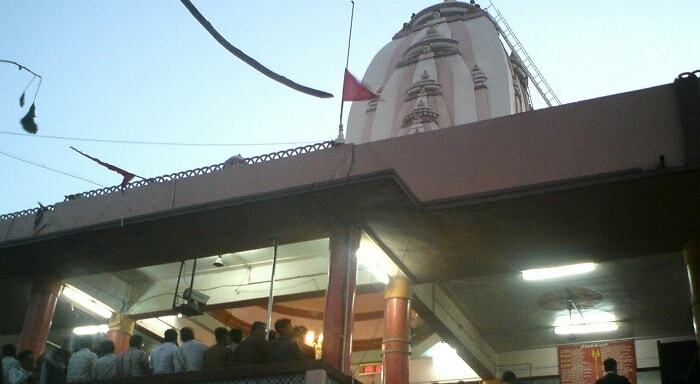 Worshippers of Ambika mata make it a point to visit this temple and offer prayers while partaking of prasad. The Surat Castle or Fort is located right in Chowk Bazar in the heart of Surat. It dates back to the 16th century when King Sultan Mahmood III built it to protect the city from invaders. It sits alongside the Tapti Bridge and it is currently used as a commercial building for offices. One can climb to the top and enjoy a scenic view of the city. The British Factory House dates back to colonial times and incorporates elements of Hindu and English architecture. Only some portions remain near the Mission High School but it is worth a visit to know how the British lived. Muhammad Tughlak is credited with construction of the Fort in the 14th Century in order to protect the city against attacks. Shivaji Maharaj ransacked the fort on two occasions but still, what remains is worth a look. This municipal operated nature park is one of the biggest parks in Gujarat covering an area of 81 acres on the side of the Tapti River. 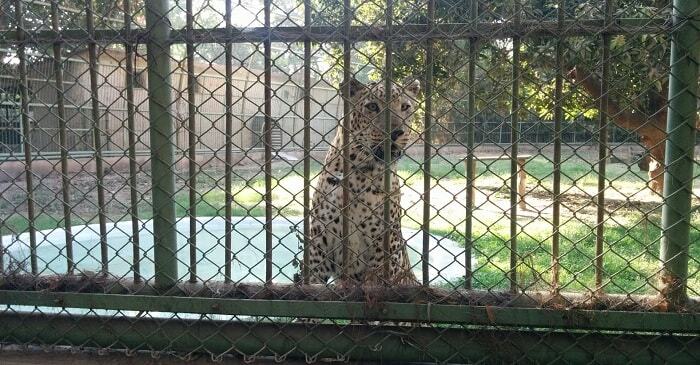 It was first set up in 1984 and it is known to breed lions, tigers and bears. It is worth a visit to see all this and enjoy some rest. 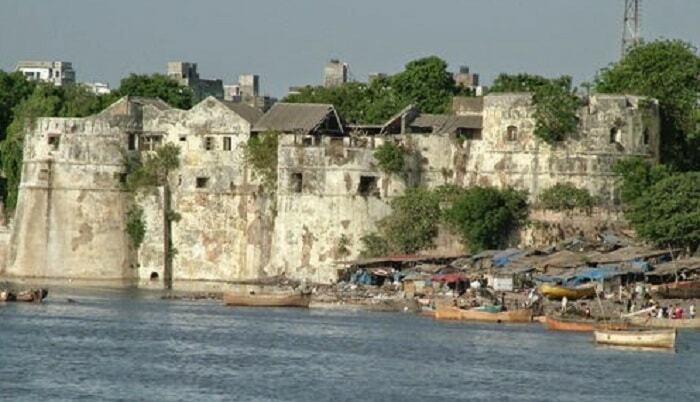 Malik Gopi, a rich merchant, built the Gopi Talav around 1510 AD. Apart from the lake, he also contributed to development of the city and he developed an area that today is known as Gopipura. At that time the city of Surat did not have a name and he proposed the name suraj that was later on changed to Surat by the Mughal emperor. Malik Gopi is known as Lord of Surat. The lake was constructed beautifully and charmed foreign visitors. It fell into disuse as it dried up but in 2012 the government renovated it and today, it is a popular recreational spot with fountains and stalls all around. It is worthwhile travelling all the way to Ukai Dam from Surat. The dam serves the dual purpose of hydroelectric power generation and water reservoir. It attracks plenty of birds. Located in Chowk Bazar, the Heritage square was developed to preserve the rich legacy of Surat. One can find the Surat castle in the vicinity as well as the old museum building, the Anglican Church, Victoria Garden and Kasturba Gardens all within walking distances. The Anglican Church is the oldest in Surat, built in 1824. The Jawaharlal Nehru Garden is the largest and the oldest of gardens in the city of Surat and it is a popular spot for picnics and relaxation. 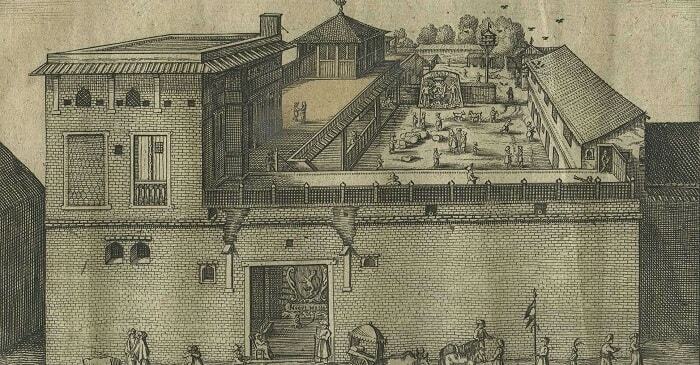 One can find a musical fountain in this garden. 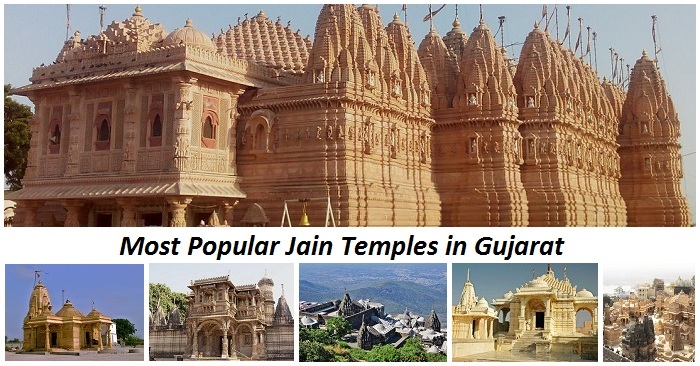 Located in the Rani Talav area of Surat, the Chintamani temple is more than 400 years old with unique wood carved pillars and ornately painted walls as its chief attractions. The Dutch Gardens are located at a distance of 4 km from the city next to the Katargam Gate. There are old mausoleums of British and Dutch officials in the Dutch cemetery inside the gardens. It has beautiful landscapes and variety of amusement facilities for visitors. 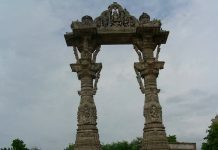 Also known as Sarika Sadan or Narmad House, the Saraswati Mandir was built by Narman a famous poet of Gujarat in 1866. Narmad House is in Gopipura and the poet bought land here and constructed a house, calling it Saraswati Mandir. Jatashankar Trivedi bought the house and sold it to Gajendra Shankar Pandya, who extended the house and called it Sarika Sadan after his eldest daughter. The Surat Municipal Corporation purchased the house and restored it as a memorial and tribute to the poet. Surat has its share of places you will love to visit. In winter, it is worthwhile visiting Surat to sample ponk or raw green wheat, Bajra and jowar grains that are roasted and served with seva and chutney. Food of Surat is something different. It is not spicy. The Surti Undhiyu is a delightful winter concoction of various root vegetables and green beans eaten with wood apple chutney. The sweet of Surat is Ghari, deep fried in ghee, something that visitors invariably carry with them when they visit this city for pleasure or business. Visit Surat on Makar Sankranti and the whole city is on the rooftops flying kits and revelling in the sheer fun of it. Surat is really a city where its citizens know how to live life to the fullest. 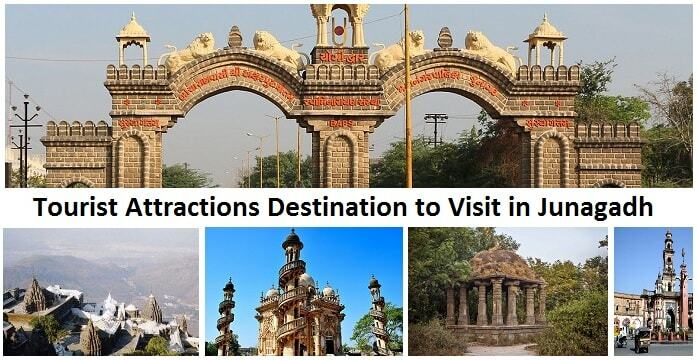 beautiful place Surat.. the diamond city… I am planning to visit here this navratri.. thanks for this guide..